(Newser) – The Chinese billionaire who owns a majority stake in Grindr will be slightly less of a billionaire after his divorce from his wife, Forbes reports. Zhou Yahui agreed to transfer 278 million shares of his company, Beijing Kunlun World Wide Technology Share Company, to his wife, Li Qiong. The shares are worth an estimated $1.1 billion. However, the New York Times reports Li won't be able to cash out those shares until 2018. It's one of the largest divorce settlements in Chinese history. 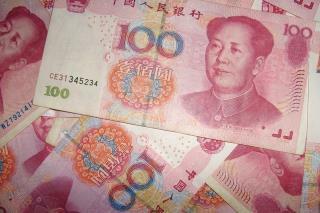 Does China really still have images of Mao on their money? Wouldn't Mao be absolutely appalled at how capitalistic and westernized China has become? Prenup, dont get married, or share and dont whine. Your call.